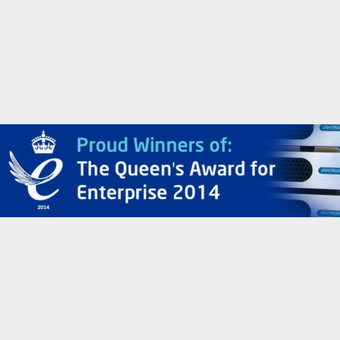 Ampetronic is celebrating being named a winner of the Queen’s Award for Enterprise – the UK’s highest accolade for business success. The award is for International Trade, in recognition of achieving sustained high export growth in the company’s sector of hearing assistance. Ampetronic, based in Newark, Nottinghamshire, is the world’s leading manufacturer of Hearing Loop products, having doubled its export sales in the last 3 years, and continuing to grow rapidly overseas. The company’s Hearing Loop products help millions of people around the world, allowing people with hearing loss to communicate easily in difficult noisy environments and to access audio services (such as the soundtrack in a cinema) wirelessly via their hearing aid or a receiver. Most people who are unaffected by hearing loss are unaware of the many Hearing Loops that they encounter on a daily basis because the unobtrusive technology is normally hidden from view and doesn’t transmit an audible signal. However anyone with a hearing aid or receiver can pick up an audio signal from a loop system, wherever they see the internationally recognised ‘Ear Symbol’ – at bank teller windows, supermarket checkout desks and theatre entrances, for example.